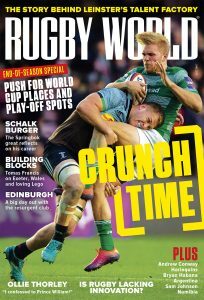 This is a Rugby World advertorial. It’s a grey, damp, chilly Autumnal evening outside Chateau Eason. Inside, however, things are looking up. I’d made the decision to join a local rugby club. First up, however, I needed to find an establishment that would take on a rugby virgin of modest size, who was well into his thirties and never kicked a rugby ball before. Surely it couldn’t be that hard, could it? With a mug of hot tea in hand I fired up the Microsoft Surface Pro 3 and settled in for some serious research. As I mentioned in my opening blog, we’ve recently just moved to a new area so I needed get my bearings first. 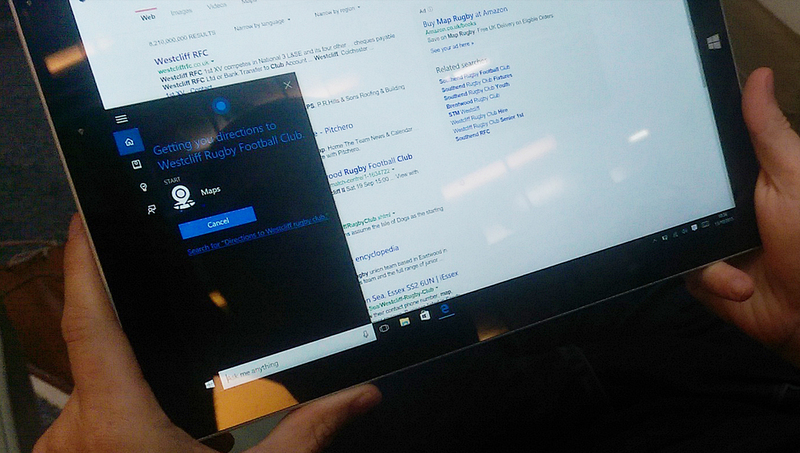 I used Cortana (Microsoft’s smart personal assistant for Windows 10) to find me a rugby club. Instantly up popped a list of clubs, maps, distances and contact details with links to Southend RFC and Westcliff RFC sitting proudly at the top of the page. Earlier in the week, when taking my son to his weekly swimming lesson, I’d noticed a fellow dad wearing a Westcliff rugby club branded t-shirt, a sign from the rugby gods, surely? It was enough encouragement for me to take the plunge. It didn’t hurt that at the top of their homepage, emblazoned in capital letters was: ‘NEW PLAYERS WELCOME’. Not thinking too much about the actual consequences I picked up the phone and made the call to find out more and introduce myself. I was told training was on Tuesdays, and all new players were more than welcome. Dave Cole, the Fourth XV team captain of Westcliff Bulldogs even said there was no way I’d be getting smashed in training – “at least not yet”, he added with a big smile. I chuckled back nervously. After Dave further reassured me – he’s probably smooth-talked many rookies over the years – I was even more pumped to be starting my rugby journey, even though I was still glued to a comfy armchair. With my head buried into the last few remaining unpacked boxes from the house move, it quickly became apparent I needed the necessary rugby clobber. Even my ancient football boots were in tatters, ahem, from all the goals I’d scored! Dave also mentioned that it would be worth buying a gum-shield and some bodyarmour and a headguard was optional. For training some baselayers and midlayers would also come in handy as winter set in. I grabbed the Surface Pro 3 for some rugby retail therapy, browsing web stores using separate tabs and Snap view meant I could easily surf around and compare prices. Gum shield. Tick. Boots. Tick. Training tops. Tick. It was all coming together. After a few final online purchases and a trip to my local rugby shop, I was finally ready to put my body on the line. The saying, “all the gear, no idea” sprang to mind.